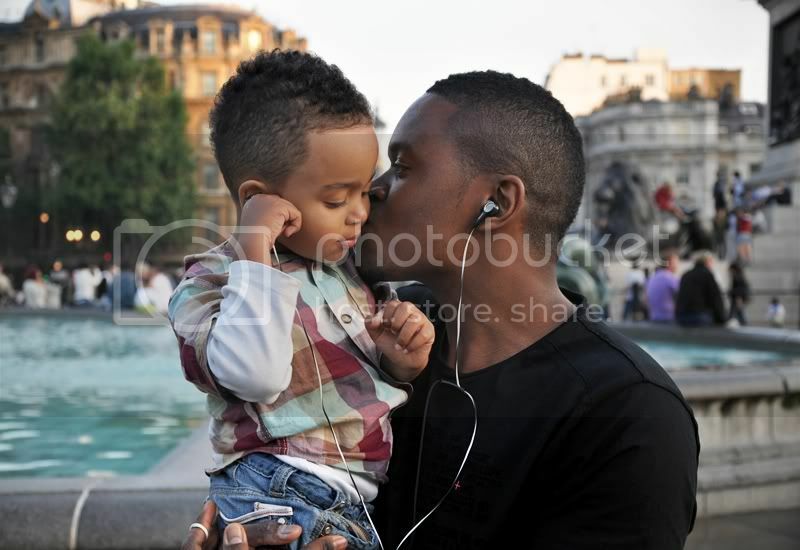 Photos from Trafalgar Square taken last week. Wore my two new pieces from River Island, hmm I seem to start liking their stuff too much lately.. gotta find those tan leather shorts I've seen few weeks ago. My friend is leaving tomorrow, so we probably gonna hit Oxford Street later on today for the beginning of High Street Fashion Week and check out what's on.. Talk to you soon! love it! and love your lipstick and how it suits you! the lipstick is amazing indeed! Love the contrast between the shearling jacket and the sheer dress, between the pale and burgundy colors. Gorgeous as always. I love your look!!! You're such a grate inspiration!! You're fabulous and i love your style! great outfit and i love your lipstick! wow you look great. 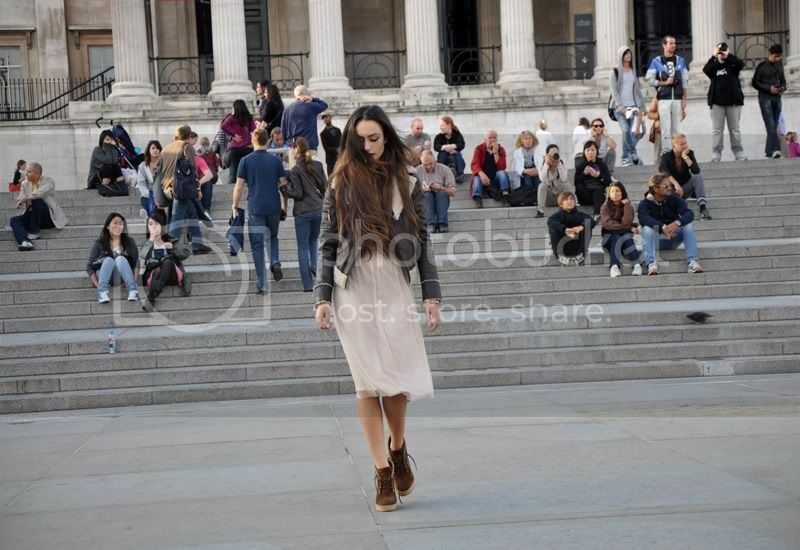 just look at all the people in the background looking at you haha. the last photo is so lovely!! love tht lipstick and jacket on you! and ur son is sooo adorable awww! wow, seriously amazing. i love the lipstick, the length of that skirt and that beautiful jacket! Absolutely in love with your lip colour and that dress! Is that your son??? My gosh, he is adorable! I totally LOVE <3 your jacket and sheepskin waistcoat ! YOU ARE SO PRETTY AND I'M YOUR BIG FAN! Last photo is so cute ! In last photo is your Soon and Boyfriend/Husband? i'm following you, your beautiful. and I adore your style. I love this jacket! it's amazing! with this dress it looks stunning! 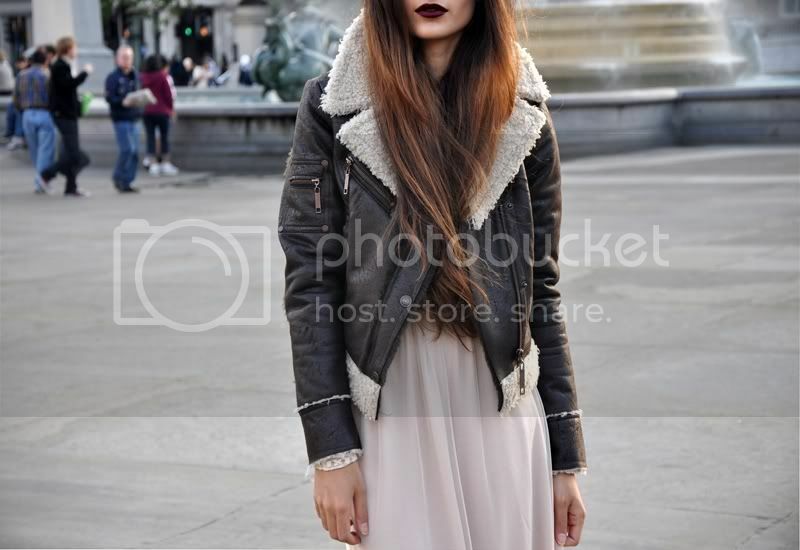 love the dark lipstick, very fall! Great blog. just found ur blog and absolutely love it! and your son is sooo cute !!!! Your lipstick looks amazing...do you mind telling what brand/color it is?? You're absolutely gorgeous. I'm in love with your jacket. Your jacket is lush! your son looks adorable too. Wow, you look stunning. I'm in love with your blog and am now following you. Look forward to your posts. Hi, I'm a reader from Sweden, and I just wanted to say that you look so good in that jacket! Fabolous! my best friend constance (constance-victoria.blogspot.com) just introduced me to your page, and im truely blown away. I didn't realise river island were so on trend until I saw this outfit of yours, its stunning. You look amazing, that lipstick color suits you so well! And that last photo really grabbed my heart, it is so adorable! Are they yours, lol? & I fall in love with your lipstick. That's a lip pencil I'm using, I mentioned it in my next post about Topshop. I love to sport dark or red lips from times to times for a change, but dark eyes are my daily fav! stunning!! what is your lipstick?! Wow! Where did you get your lipstick?? i just totally love your jacket !!! I absolutely looking everywhere but can not find it, dream of having the same! you know where I could find one? thank you thank you in advance ! !